I don't know about a planner, but if you need help with other stuff, let me know. I got married in Rome last year and organised everything myself. I'm a wedding planner based in Ireland and I've planned many fabulous weddings in Rome. See here for more information about getting married in Rome. Feel free to contact me at [email protected] or on +353 89 4430414 if you need advice on anything. Help Plan My Wedding - Ireland & Abroad. If you're still looking for a wedding planner in Rome, I'd like to suggest Dama Wedding. 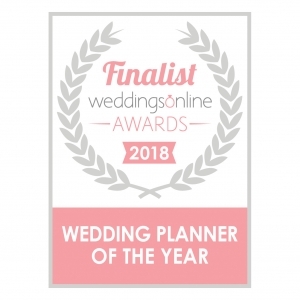 When we started planning our destination wedding, we contacted a number of planners, and decided upon Danila of Dama Weddings for several reasons. Danila was incredibly responsive and helpful, exchanging over 40 emails with us even prior to us choosing her as our planner. We skyped her, and her professionalism and organization made us confident we selected the right person. She put us at ease and made the planning process very simple. It meant so much to have Danila coordinate everything. Our intimate wedding turned out amazing, down to the smallest detail. All in all, my husband and I are really happy with the decision we made to have a destination wedding and to have Danila of Dama Wedding plan it. We wouldn't hesitate to recommend her and her team.